My mother was in town the other week and I wanted to cook her something really nice. I had recently bought the new Donna Hay magazine on iPad and came across this amazing dish. Donna Hay magazine would have to be one of my favourite and being able to download them on iPad is very convenient, plus, they are very well put together. This dish was extremely tasty and not too involved either so being in the midst of winter it is the perfect dish for our cold weather. Using poultry scissors, cut the chicken in half, carefully remove the skin and set aside. Heat the grape seed oil in a large saucepan over high heat. Throw in the chicken wings, leek, garlic, and ginger and cook stirring for 4-6 minutes until golden. 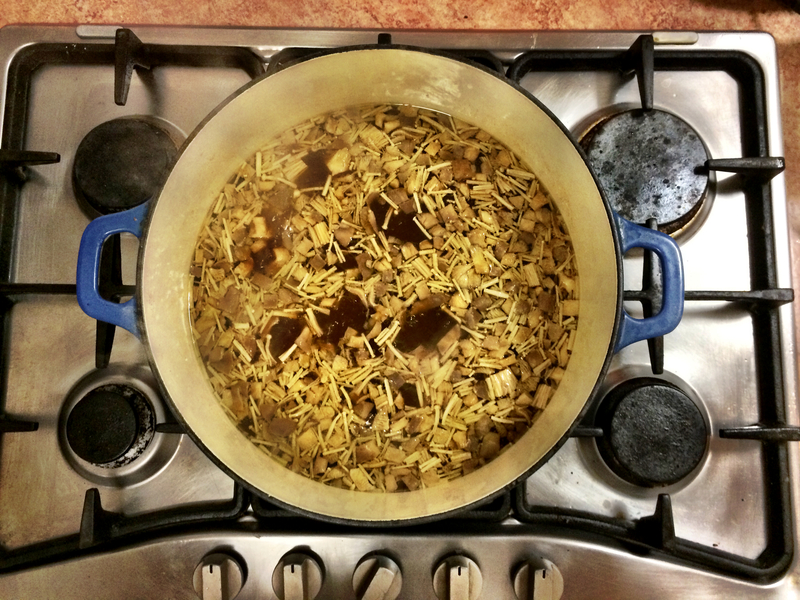 Once golden add the halved chicken, water, soy sauce, dashi, miso paste, dried mushrooms and bring to a boil. Once boiling reduce to a medium heat and simmer for 1½ hours. Strain, reserving the stock and chicken halves. 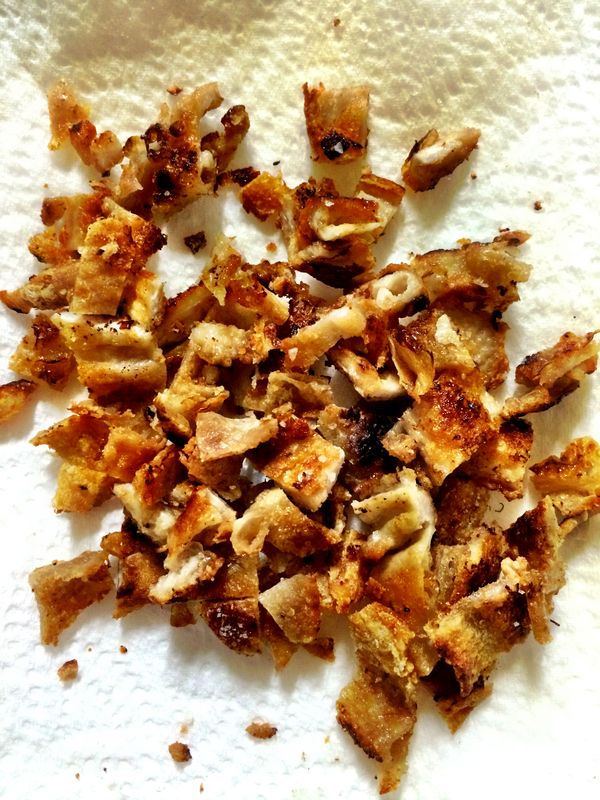 While the soup is cooking, place the chicken skin in a large non-stick fry pan over medium heat. cook for 6 minutes on each side or until the skin is crisp and golden. Drain on absorbent paper and sprinkle with sea salt flakes. Wipe out the pan and return it to medium heat. 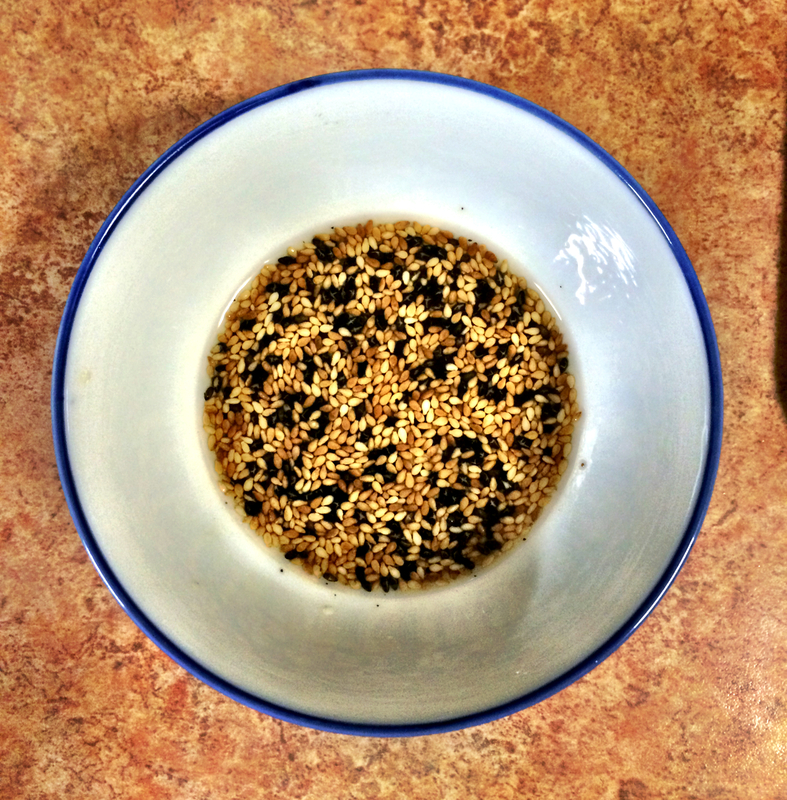 For the chilli sesame oil, add the grape seed oil, sesame seeds and cook, stirring for 2-3 minutes or until golden. Remove from the heat and add the chilli, sesame oil and sea salt. set aside. Shred the chicken, and discard any bones. 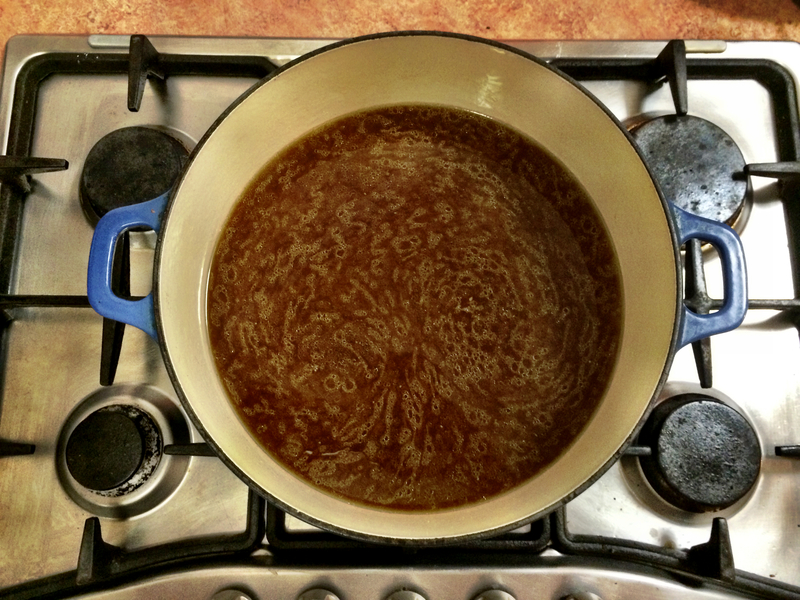 Return the stock to a clean saucepan and bring to a boil. Add the fresh mushrooms and cook for 5 minutes. Add the chicken, noodles and cook for 4-6 minutes or until the noodles are tender. 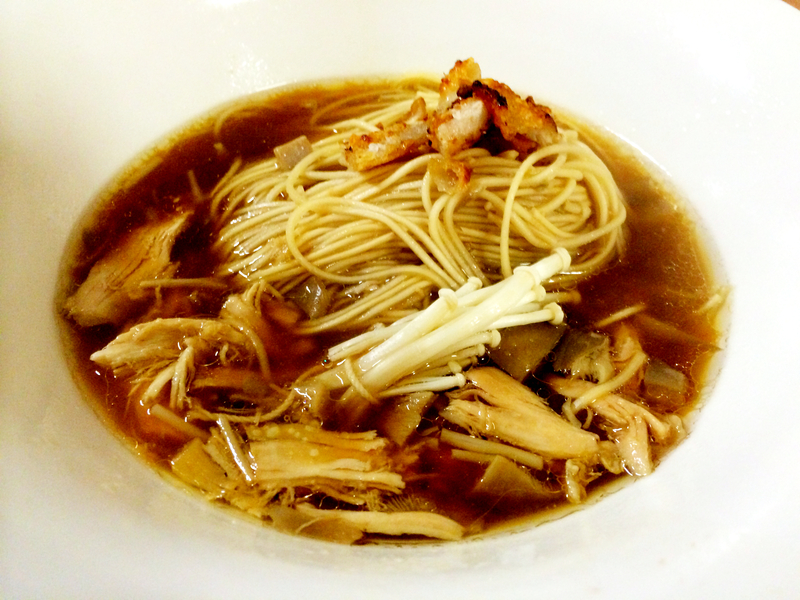 Divide the noodles between bowls and spoon over the soup. Top with crisp chicken skin and drizzle with the chilli sesame oil and enjoy.